A Small Size, Thin, Visibly Aged And Anciently Used And Use Sharpened, Wide Notched And Nicely Made Reed Point That Exhibits Surface Sheen And Overall Stone Aging Patination, Aging In The Side Notches, Correct Style Flaking, Correct Style Base And Triangular Shape Blade, Aged Surface Deposits, Correct Material And Manufacture For The Area Found. 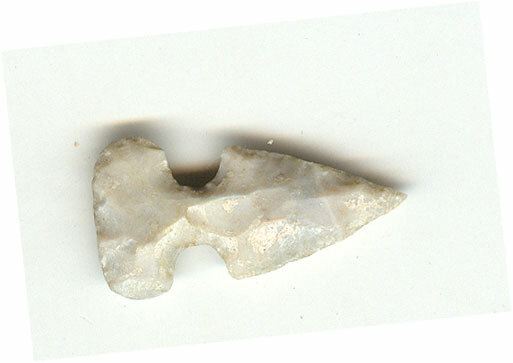 The Reed Point Was Found In Caches Of Assorted Arrow Points In The Spiro Mound Complex. This Is A Nice, Thin Example. Includes A Ken Partain Certificate Of Authenticity.